“This is one of the most popular model offered by the prestigious jeweler Harry Winston’s high-end mechanical watch division HWRT (Harry Winston Rare Timepieces). The movement is a very complicated and dynamic visual spectacle – all of the chronograph counters offer retrograde displays. When the chronograph is activated, the second counter sweeps across the bottom and flybacks to 0 when reaches the 60 second mark; the flyback 30-minute counter is at 3’O clock, and the 12 hour counter is at 9’O clock. The little disc above the logo rotates as the watch’s internal second hand. This is a large size. 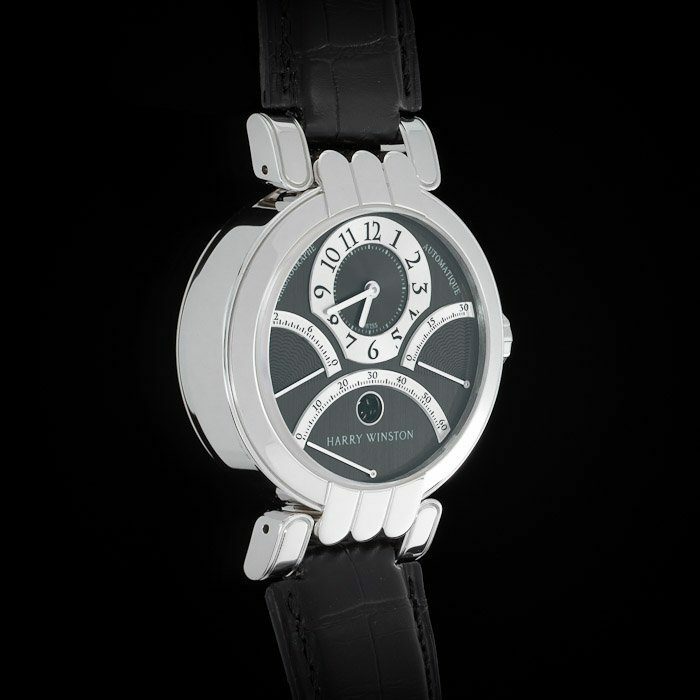 With a diameter of 41.5mm with the crown (39.5mm without the crown), would make it a perfect size of a casual watch. 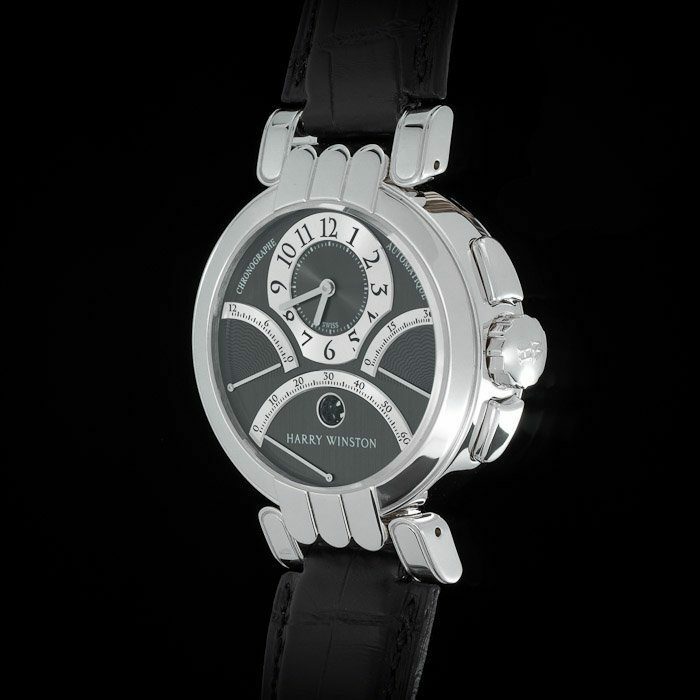 It makes a great statement, yet still retains its elegance. 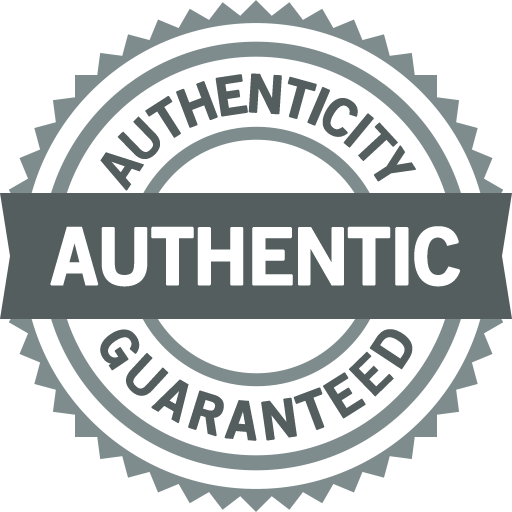 100% brand new with box and papers. 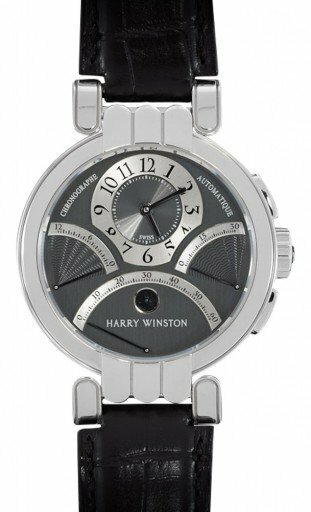 The dial is a beautiful grey color and features brushed finishing and hand-guilloche pattern for the chronograph counters. 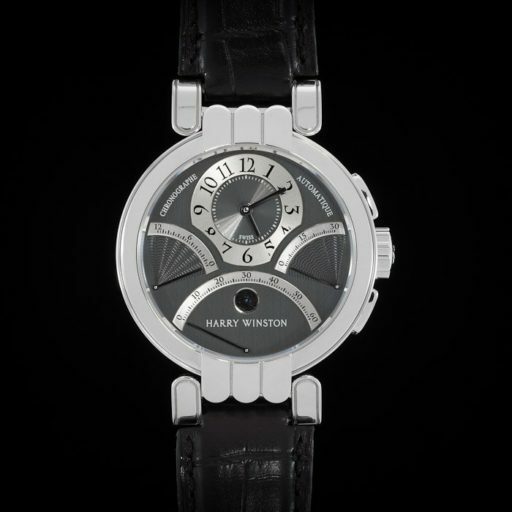 The sapphire display back offers a view to a movement that is best that Harry Winston has to offer. 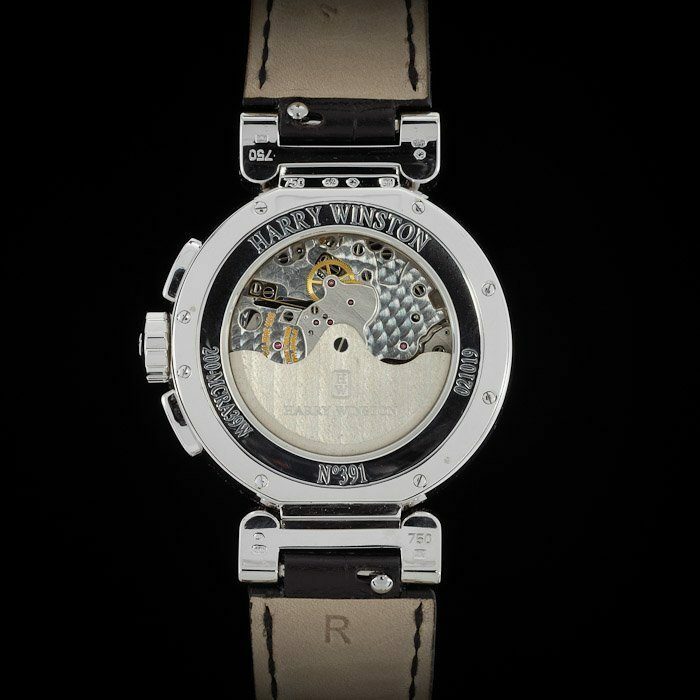 The rotor is gold and the movement is decorated and finished very well, and portrays Harry Winston’s fine-finishing expertise as the world’s premier jeweler. Comes with heavy 18K white gold Harry Winston deployant buckle. 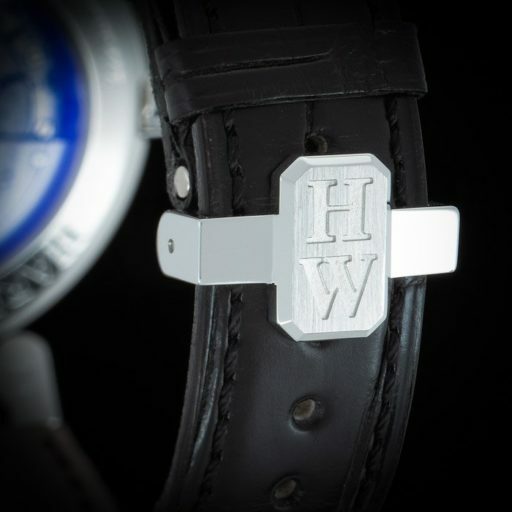 Original Harry Winston strap with 18K deployant buckle.